Have you been charged with drinking on campus? A Drug Awareness Class in exchange for a dismissal. A Motion to Suppress any stop or arrest. 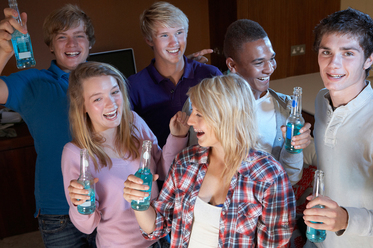 We routinely represent young adults charged with underage drinking having to attend Court for the first time. In North Carolina anyone under 21 is prohibited from the possession or consumption of alcohol with limited exceptions. That being said almost everyone under 21 has been exposed to alcohol at home, a party, or school. Police often arrive to house parties and demand everyone blow into a portable breathalyzer or go to jail. Even those who only blow a 0.01 are routinely charged. Don’t make the mistake of pleading guilty which will result in a criminal record that can impact your ability to get into college or secure employment. Finally be aware that anyone over the age of 16 is charged as an adult in North Carolina and any charges remain for life unless expunged. Hiring an attorney may allow for a dismissal and future expunction without you ever having to attend Court.